We made it to the new millennium without the sky falling or the legal system collapsing. Firm administrators, in particular, are relieved that their planning paid off. 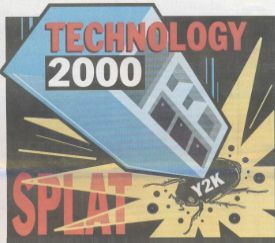 So what are California law firms technology plans now that they have vanquished the Y2K bug? The highest priority is to improve productivity, especially for attorneys. For Wilke, Fleury, Hoffelt, Gould & Birney in Sacramento, this means putting time entry and legal calendaring on lawyers PCs. According to administrator Larry Hartmann, the 27-attorney firm wants to reduce duplication of effort. Giving attorneys the power to enter and retrieve data on their own will free up secretarial and accounting time. The ultimate goal: Serve Wilke Fleurys medical malpractice, commercial litigation and health care clients as efficiently as possible. Lyon & Lyon, a six-office, 130-lawyer intellectual property firm headquartered in Los Angeles, will focus on its prosecution department, litigation support and records management. Early last year, Paul Halpern, director of IT (information technology), started looking for off-the-shelf software that the firm could customize to meet its needs. Halpern says the challenge is that in addition to imaging, we need a pretty strong workflow product tied in that any department can use. Lyon & Lyon found imaging software quite readily, but finding the right workflow product will require a lot more work. User departments are actively working with Halpern to successfully complete this second step. Ron White, administrator at 12-attorney Moss & Enochian in Redding, changed the firms network operating system from Unix to Windows NT last year. The major reason: To run a broader range of application software. White notes that with the latest application programs, we will be able to deliver services more efficiently to the firms insurance defense, municipal law, probate and estate planning clients. Several firms are considering speech recognition software. Among them is five-attorney Swarner & Fitzgerald in Riverside, which has a probate, estate planning, family law and corporate practice. Rose Bird, Californias first female chief justice and the only top jurist to be recalled by the states voters, died last month of breast cancer. She was 63. Widely praised for her unwavering adherence to her principles, Bird was just as widely villified as a symbol of soft on crime, anti-death penalty liberalism, probably the defining issue in the recall which led to her 1986 ouster after almost 10 years as chief justice. In an effort to respond to concerns about its lobbying efforts, the State Bar last month approved procedures requiring two separate super majority votes by the board of governors before backing any legislation. Under the new procedure, the board must first decide, by a two-thirds margin, whether any legislative proposal it is considering complies with restrictions imposed by the U.S. Supreme Courts decision in Keller v. State Bar of California, limiting the bars political activities.